We’ll be the first to say it’s more difficult to plan your evening when it’s cold and dark outside. Trying to convince your pals to head out for a drink before moving locations for dinner and then elsewhere for drinks is no less than a metaphorical marathon when it’s pouring with rain and about minus five degrees outside. Which is why we’ll be spending a lot of time this season at Fulham’s Market Halls. Craving a gin and tonic? Check. Can’t decide what you fancy for dinner? Sorted. Craving something sweet (and alcoholic) to round off the meal? No worries. As well as having a huge variety of food stalls and an excellent bar, crucially, it’s all under one roof! Which means all of that ‘wandering-around-and-trying-to-find-bars-and-restaurants-with-enough-seats-for-your-ever-changing-crowd’ stuff is no longer a problem. Instead, sit yourselves down and focus on having a good time. But before you tuck into one of the many food stalls at the hall, gather your pals for a pre-meal aperitif. The Market Halls bar is a huge, old-fashioned affair, complete with authentic tube signs and any number of places to sit and people watch. 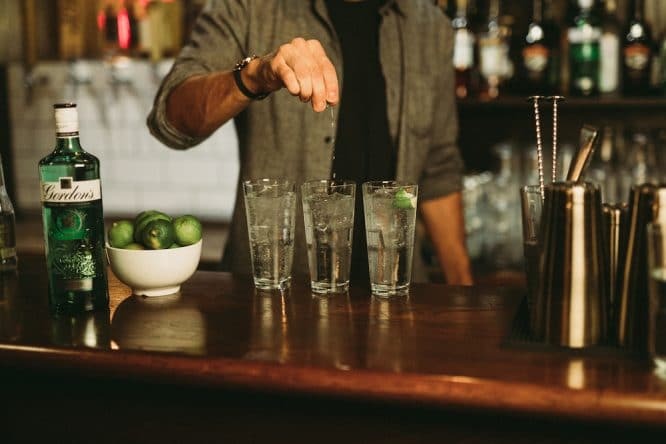 It’s also a bar slowly becoming known for its delicious gins. 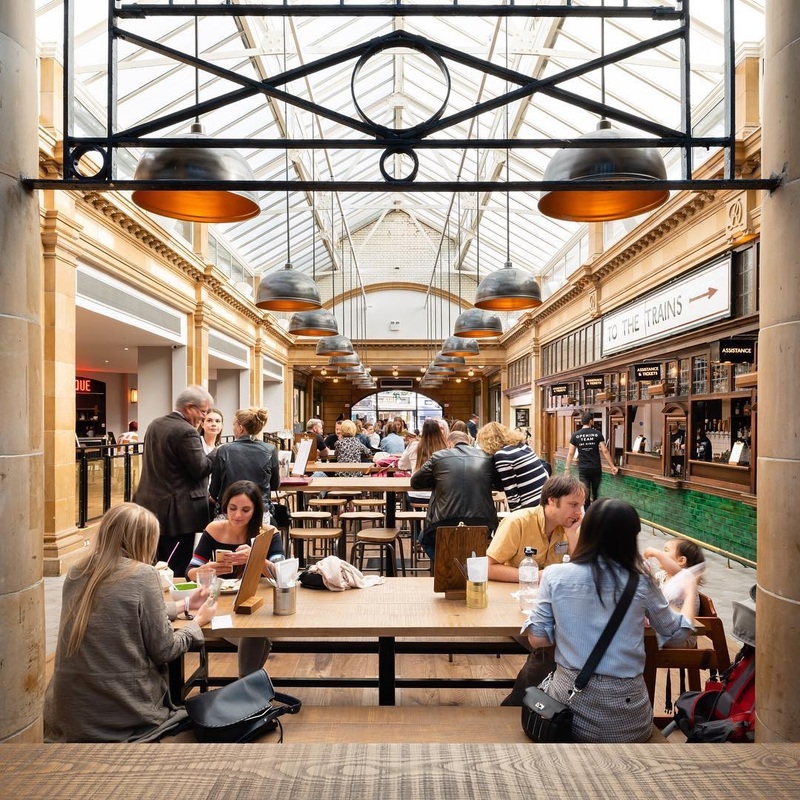 So before your appetite has fully kicked in, we recommend ordering a Gordon’s and tonic (with any number of fun accompaniments) and taking some time to gaze around at Market Hall’s impressive features. If you weren’t hungry on arrival, you almost certainly will be after you’ve had a Gordon’s and a natter. There are enough delicious smells wafting around Market Halls that it’s better (for your stomach and also to avoid food envy) to have a wander through before you decide your order. You’ll find smoked meats, Poké bowls, home-cooked Northern Indian, Bengali and Hyderabadi cuisine, kebabs and fried chicken. We weren’t lying when we said there’s a lot to choose between. Keep an eye out for the specials boards for one-off treats and the park yourself down on one of the huge, communal tables to tuck in. 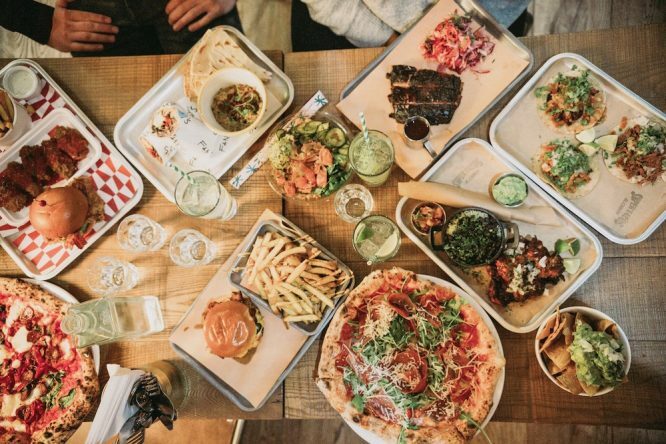 And, a quick tip: if you really can’t decide what to eat, take a few moments to watch what the people around you are tucking into – and then order one of almost everything. But, as always, save room for dessert, because you’ll find an extra special combination at Market Hall. Creators of all things good in the world, Love Churros, are our top pick for a mouthwatering end to your dinner. But a post-meal treat wouldn’t be complete without an indulgent Baileys from the bar. 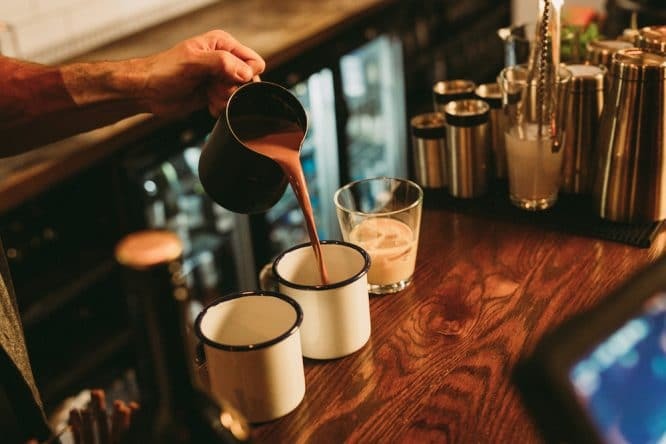 There’s even a Baileys hot chocolate on the menu to warm your cockles – best with churros for dipping! The crunchiness of the churros combined with the sweetness of the Baileys is the ultimate way to end any dinner out. And there you have it! Evening out in Fulham? Completed it.